Newer Model Available: M Series BIPAP Auto with Bi-Flex.
" A quiet machine, tolerable for both my husband the user and me the spouse. Paul says the ramp and flex features really add to the comfort level. " " I'm still learning about this one, but so far like it much better than the M-series. It's super quiet, and that's a big plus! " The new BiPAP Auto brings together a unique combination of Respironics technologies to create the most advanced BiPAP on the market. 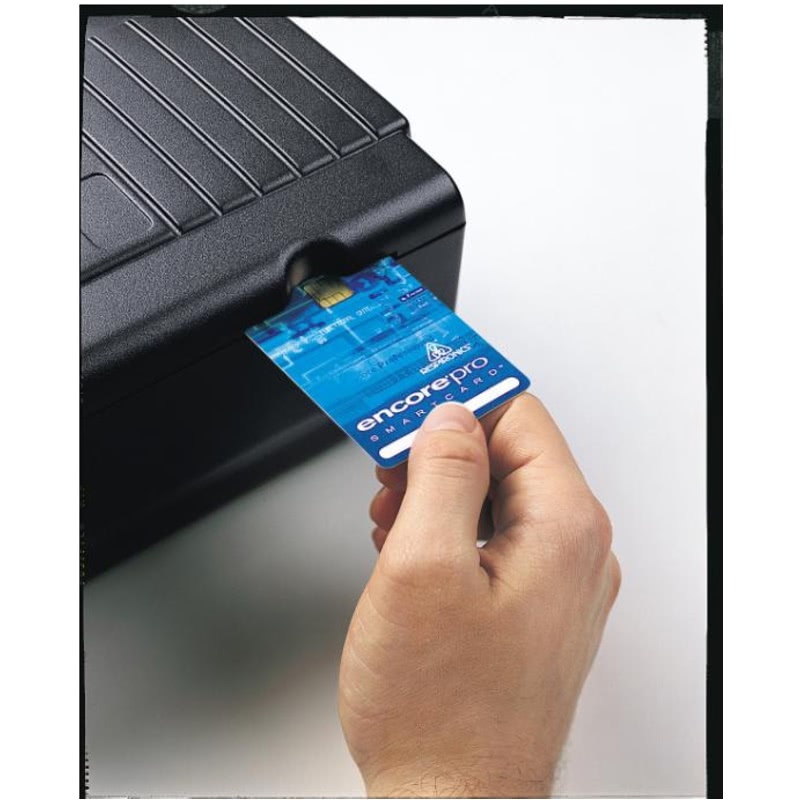 Auto Adjust Maintains the minimum effective pressure to deliver only the level that is needed, when it is needed. Bi-Flex Makes the breathing cycle much more natural and comfortable. Digital Auto-Trak Algorithm Allows this machine to track and react to your natural breathing pattern. Encore Pro Advanced Reporting Allows you to track key performance metrics like AHI, leak and snoring data on a nightly basis. Fuses There are no user-replaceable fuses. 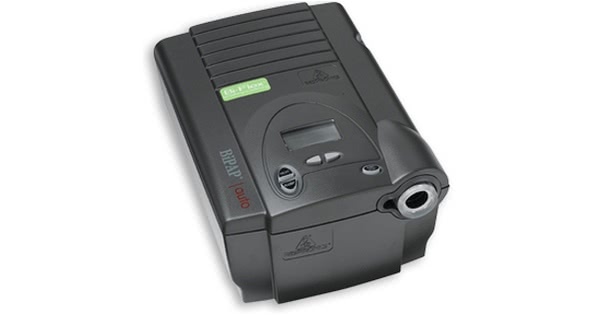 The Respironics Legacy BiPAP machines operate automatically between 110v and 240v AC. When traveling either inside or outside the USA, there are no switches to switch or fuses to change. The machine will automatically sense what voltage is needed and set itself to run on that power. 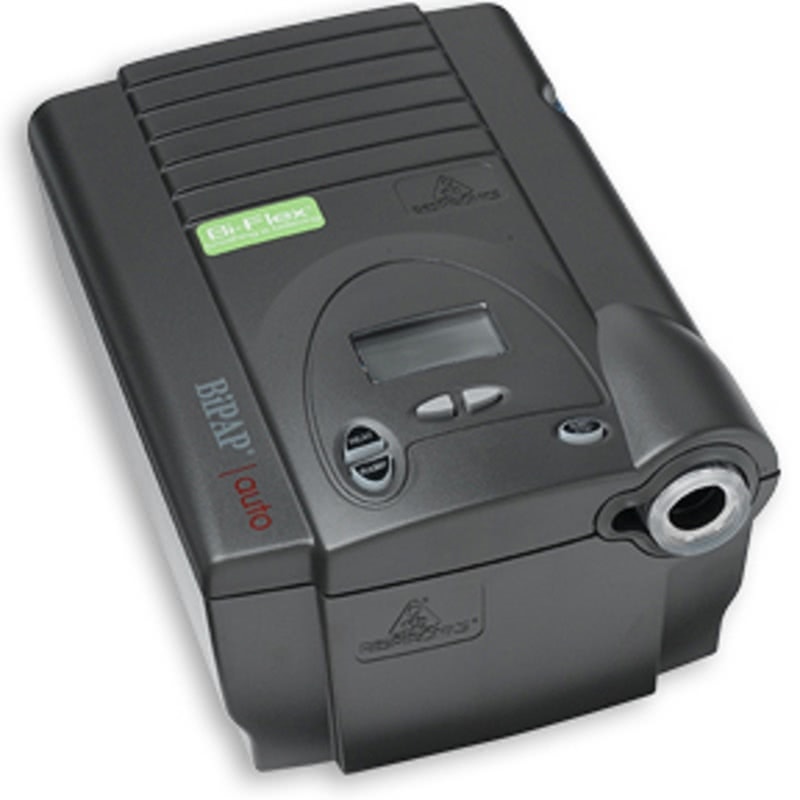 Respironics Legacy BiPAP machines come equipped with a DC plug on the back of the unit. This allows the user to connect the BiPAP to an external DC battery source. This cord is ideal for travel by recreational vehicle, boat, or any external DC batter that is equipped with a cigarette lighter plug. Respironics Battery Kit for Respironics Legacy BiPAP Machines. This portable battery pack is an external lead acid battery that is the ultimate in power, portability and convenience. 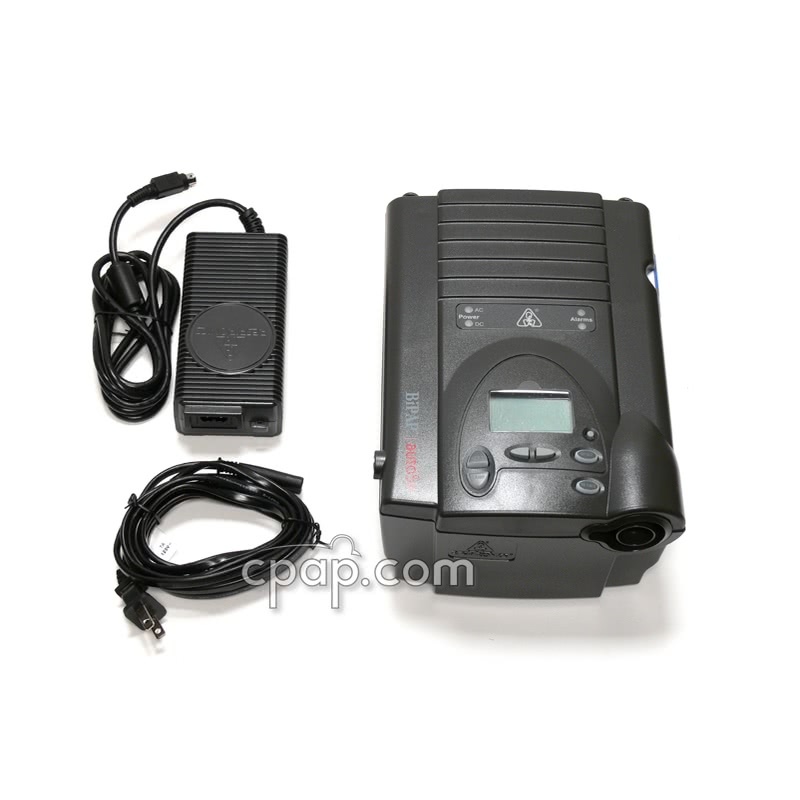 This battery kit comes with the Respironics battery and the Respironics RP-DC Power Adapter. What are the benefits of using CPAP therapy?